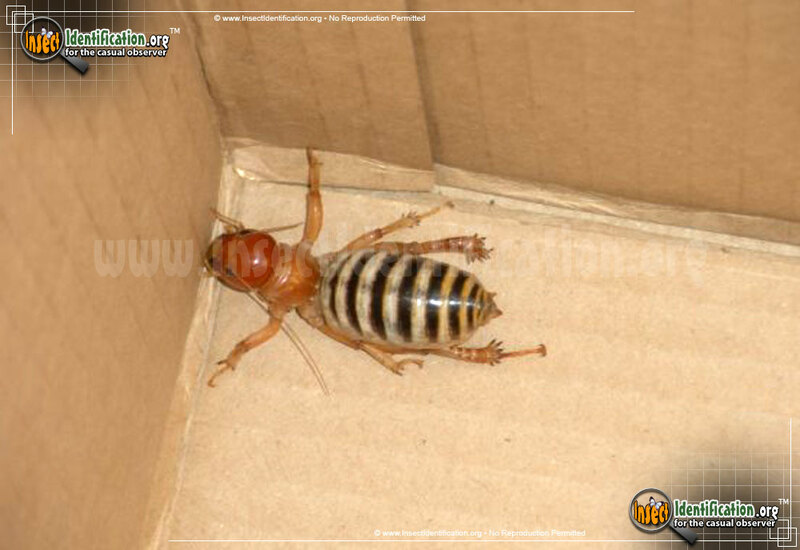 Detailing the physical features, habits, territorial reach and other identifying qualities of the Jerusalem Cricket. 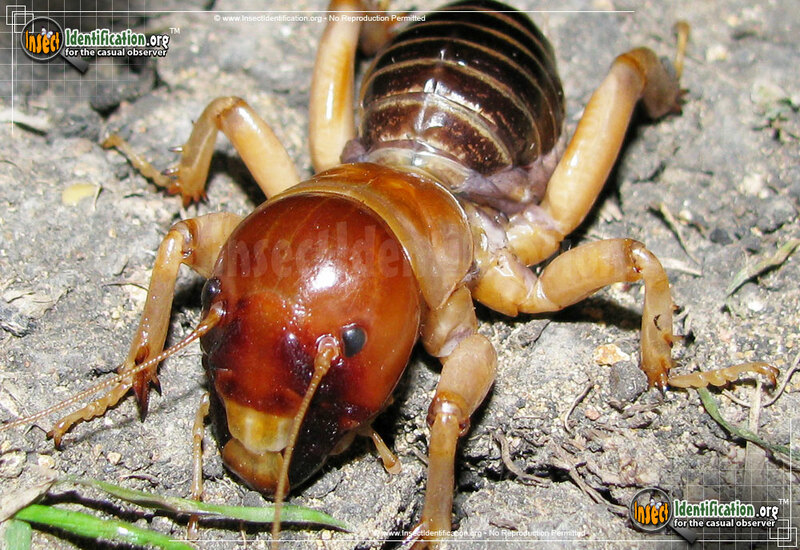 The Jerusalem Cricket is a type of North American camel cricket, humpback and sandy tracks included. This slow-moving, humpbacked insect is often mistaken for a spider. Six legs and only 2 eyes helps eliminate that as a possibility. 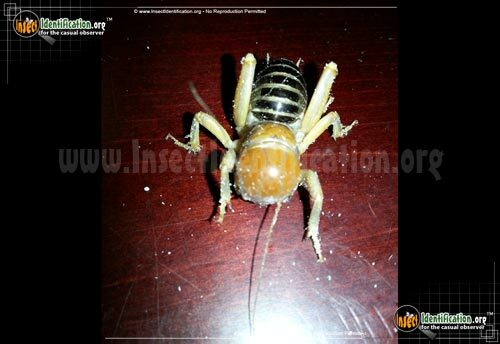 As members of the Camel Cricket family, they sport a rounded back like the desert animal that is covered in alternating black and tan bands. The enormous, round head brown and a strong jaw is able to deliver a painful bite if mishandled. Their hind legs have 2 rows of spines and seem short for a cricket. They do not have wings, and walk so slowly that most people are comfortable approaching them. 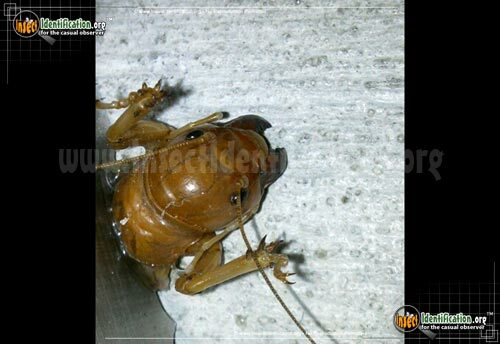 Jerusalem Crickets are found under rocks or often walking along gravel in valleys, sandy banks, or on hillsides. 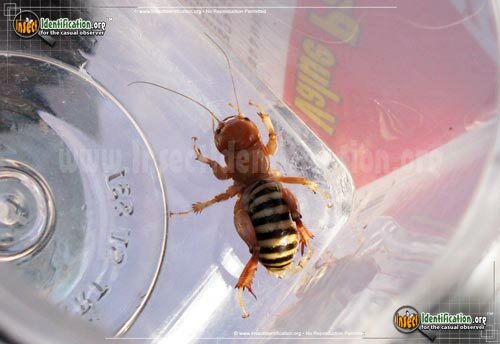 This species prefers drier climes and loose, dusty soil. 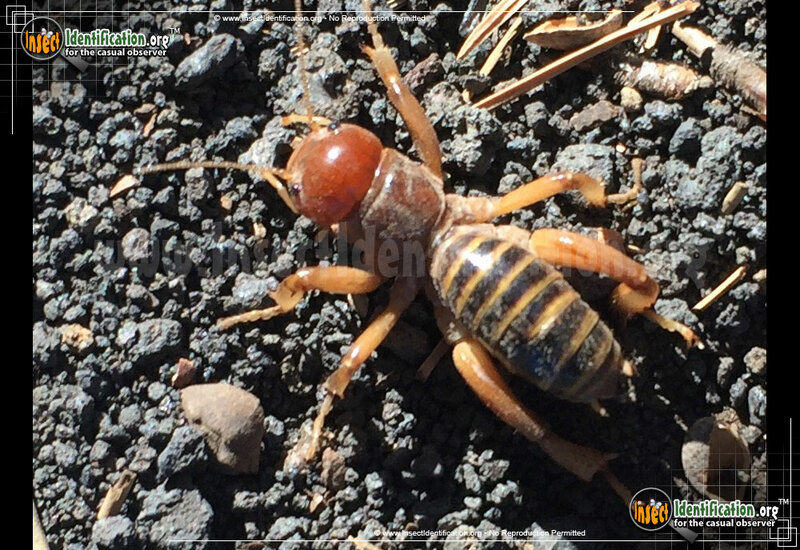 The tracks they leave behind are unique, created by dragging their large abdomens across the fine particles of soil. They can make a scratching noise. Many new and related species have been found in California, but their range travels only as far east as Nebraska. Females often eat their mates. 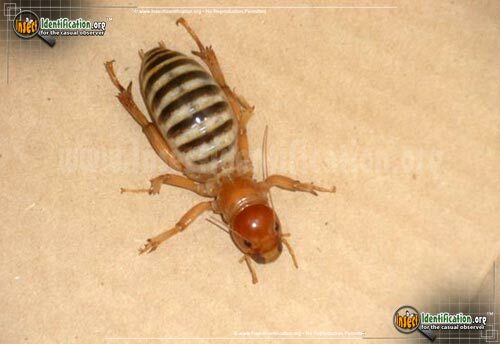 They lay their eggs in soil after making a shallow hole. Nymphs (juveniles) are equally slow-moving. Adults and nymphs eat plant roots, other insects, decaying plant matter and potatoes. Sources say it is nocturnal though there are many sightings in daylight.